As an adult, you and your significant other may decide that adopting a baby is the best way to grow your loving family. While this approach is amazing for providing love and support for a child in need, it’s important to know that the adoption process comes with a plethora of complications and roadblocks. A is 4 Adoption is here to provide the most support possible for birthmothers and adoptive parents. Your standard adoption agency in California will be ladened with a myriad of rules and regulations that need to be followed, elongating the adoption process and negatively affecting all parties involved. Our adoption center works to streamline this stressful time to create amazing opportunities for growing families to flourish. Adoption is a strange concept at first, and one that requires a lot of explanation and learning. Today, we’ll highlight a few more books that may prove useful in preparing you, your biological children, and the adopted child for the experience. If you’re interested in learning more about our domestic adoption services, be sure to contact us today! Adopting a child can be an enjoyable experience for the parents and the new child, but what about their new siblings? Young children typically have a hard time of understanding the adoption process, especially when it comes to their immediate family. Why are they having another child? Am I not good enough? “The New Baby” is a popular book by Mercer Mayer that looks into the changes that occur when an older sibling welcomes a new baby to the family. While not focused on adoption, this book is very helpful for preparing your young child for the new addition. “We Belong Together: a Book about Adoption and Families” is ideal for children between the ages of three and six who are expecting a new child. Todd Parr does a great job of exploring how different individuals can come together to make a unique family. “Beginnings: How Families Come to Be” is the ideal option for explaining adoption across different countries, systems, and family types. Children from three to nine can learn through this interactive text that highlights children from different cultures and how the adoption stories that were told to them by their parents. “I Don’t Have Your Eyes” is a picture book by Carrie Kitze that highlights how families are united by love instead of physical properties. The focus on the family bond over appearances is ideal for illustrating to your adopted child how special they are regardless of their origin. “Home at Last” is a captivating tale that centers around an adopted child and his struggles with inadequacy. With the help of his two dads and dogs companion, the main character is able to overcome his fears and settle comfortably into his forever home. Vera Williams illustrates the fear and anxiety that can afflict many adopted children, making this book ideal for kids who are experiencing the same problems. “Lucy’s Family Tree” was written by Karen Schreck with a focus on the struggles that adopted children have with explaining their families to others. Lucy is given the task of creating a family tree to show others where she came from. As an adopted child, the main character has to deal with a lot of stress and anxiety over her family tree. The book moves on to show that families can come in all sorts of types and sizes, from birth families to adoptive ones. Your little one should benefit greatly from this book! Being able to communicate with your biological and adopted children about the intricacies and complex emotions involved with growing your family can be challenging, but there are loads of books available today that can shed some insight and make the task much easier. While we have mentioned a few fan favorites, it’s important to know that there are dozens of other quality books that can help in making your little one feel like a part of the family. 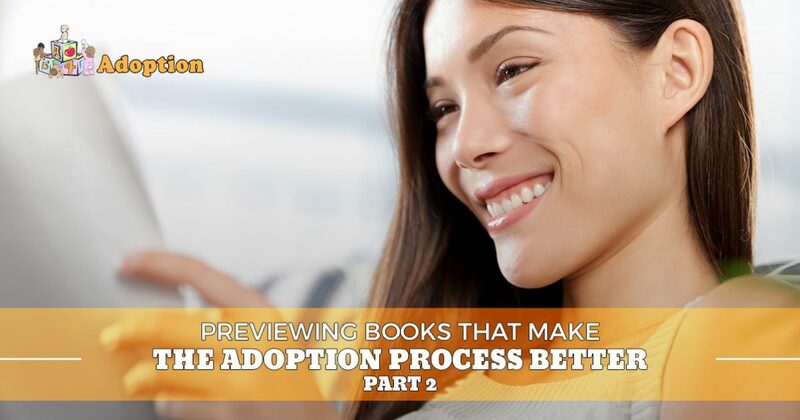 A is 4 Adoption is here to help you through every step of the adoption process. Our open adoption services work to minimize the wait time and stress often associated with adopting a child. If you are looking for a quality adoption agency in California, turn to our center instead for the best results. Our experts are here and ready to provide comprehensive birth mother assistance in addition to support services for adoptive parents. Contact us today to learn more!